Choice is the word that describes the philosophy in District 6 high schools. At our three traditional high schools – Greeley Central, Greeley West and Northridge – students can pick from traditional academic courses or venture into one of our 15 Career Pathways. These programs offer focused instruction in a variety of areas, from health sciences to engineering, fire science to agriculture. Several programs offer college credit and professional certificates students can obtain while still in high school. Students who want to go onto higher education will find many opportunities to take concurrent and dual-enrollment college classes at Aims Community College or the University of Northern Colorado. Our high schools also offer a wide variety of Advanced Placement classes, as well as The International Baccalaureate program at Greeley West. 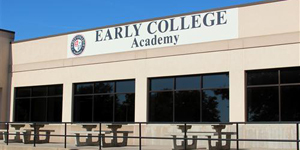 Early College Academy is an opportunity for students to obtain a two-year associates degree from Aims Community College while simultaneously earning a high school diploma. This unique, innovative school is designed around the bold idea that academic rigor, combined with the opportunity to save time and money toward a college degree, are powerful motivators for students to work hard and rise to new intellectual challenges. 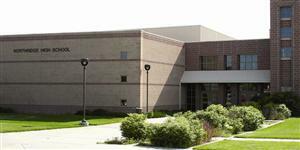 Jefferson High School is a smaller school setting for students who haven’t been successful in a traditional high school. Personalized attention and high quality instruction are provided, as well as many extracurricular activities and clubs. Onsite daycare is available for teen parents. 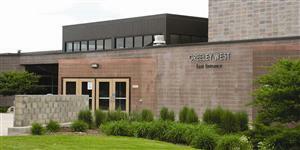 Greeley Alternative Program is aimed at offering high school coursework on a variety of schedules. Students can take classes in mornings, afternoons or evenings. Many older, non-traditional students find this school meets their needs. Students move through the coursework at their own pace, and some are able to accelerate and finish in a compressed timeframe. Individual help and instruction is available throughout the year. High school students can choose from a large menu of music, theater, fine arts, technology, physical education and other specialized classes. Clubs, athletics and extracurricular activities abound at each school, and participation is encouraged. We encourage you to visit the website of any of our high schools, or visit the school for a personal tour. Shift 1: 7:30 a.m. - 11:55 a.m. Shift 2: 12:25 a.m. - 4:50 p.m. Shift 3: 5:20 p.m. - 8:35 p.m.